I have no idea as to why it felt like summer (or spring) today. It totally threw me off because I was use to wearing all of these coats, jackets, and pants and then bam. It heats up to 80 degrees out of no where. 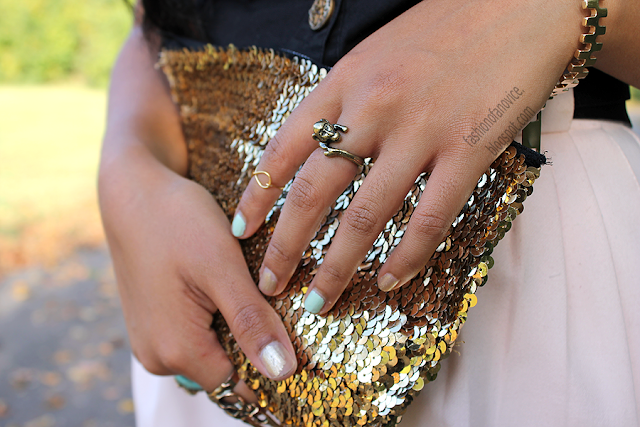 Gold sequinned clutch: I made that! I love this outfit and you accessories so nicely! Sharena this is a very pretty look on you! 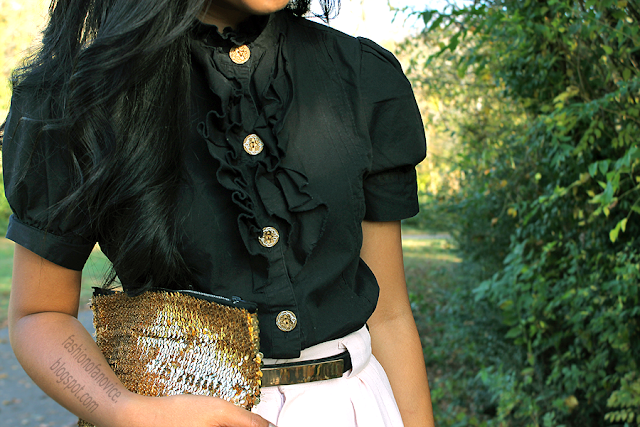 Great blouse, love the white shorts, and that sequin clutch is beautiful!